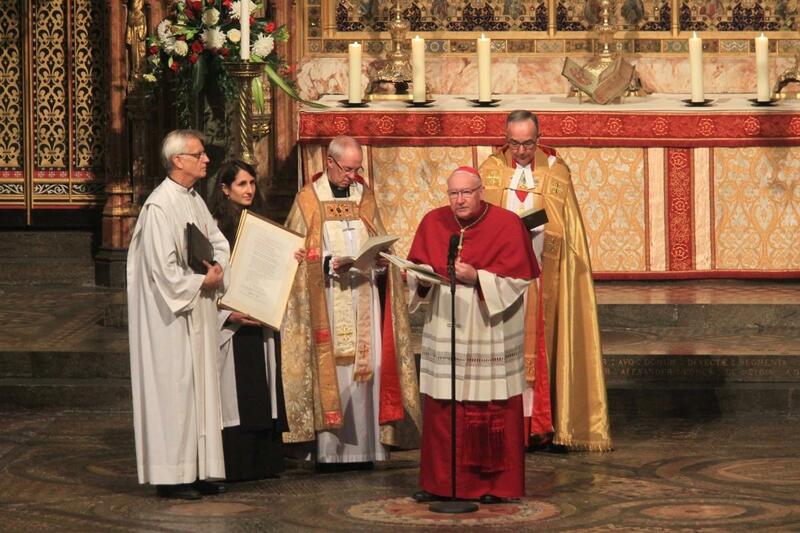 (London • Lutheran World Information) – During a special service to commemorate 500 years of the Reformation at the Westminster Abbey today, representatives of The Lutheran World Federation (LWF) and the Roman Catholic Church received the Anglican Communion’s affirmation of the Joint Declaration on the Doctrine of Justification (JDDJ). The LWF general secretary said it was his prayer that churches would continue proclamation of the unconditional grace of God. “By grace alone, in faith in Christ’s saving work and not because of any merit on our part, we are accepted by God and receive the Holy Spirit, who renews our hearts while equipping and calling us to love and serve our neighbor,” he added.